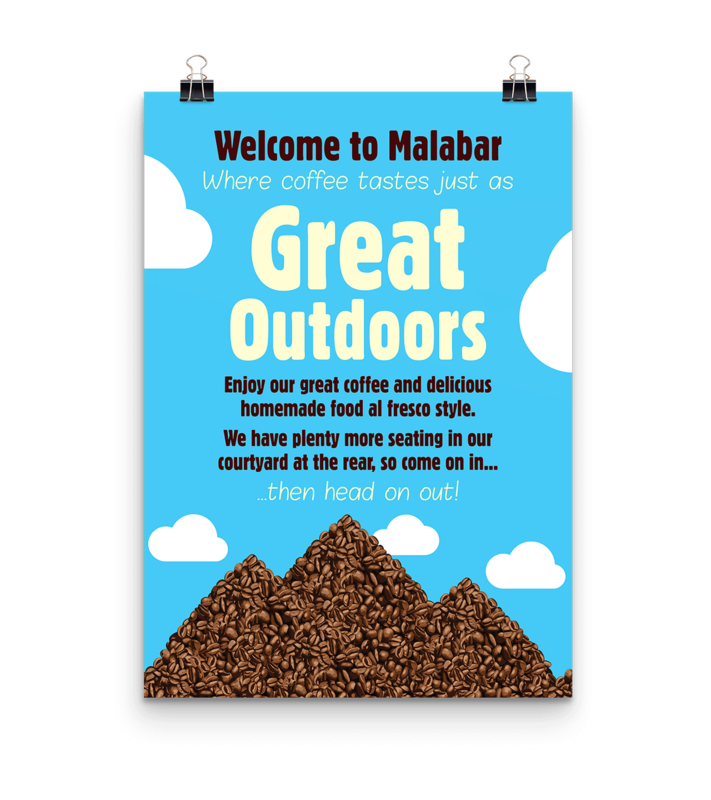 To develop a logo, branding, website and shop signage for an independent coffee shop with outlets in Sevenoaks and Riverhead. The brand needed to be strong enough to compete with big name competitors in the area and deliver a local customer focused feel. 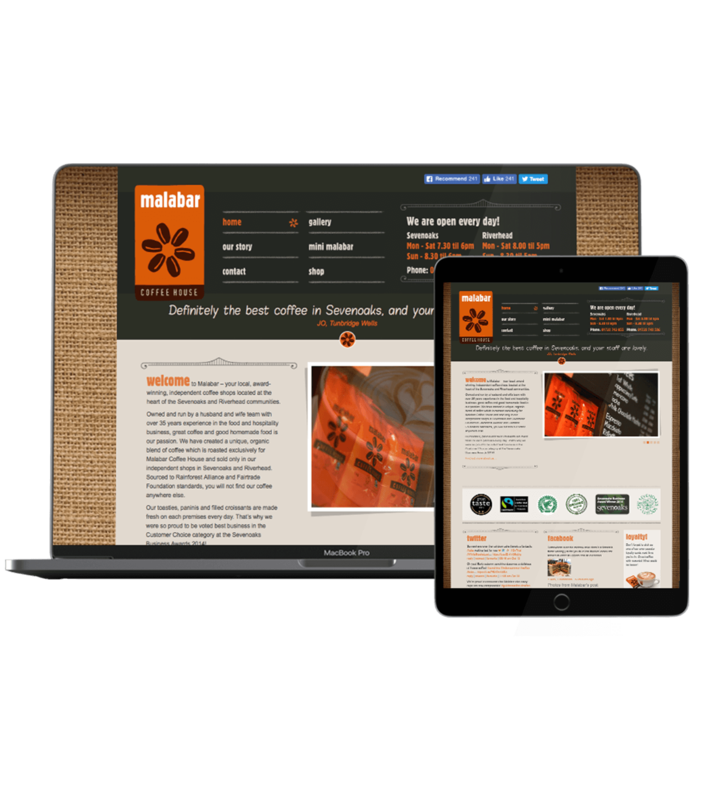 Muted organic colour ways provide the look and feel for the website, enforcing the carefully sourced products available. 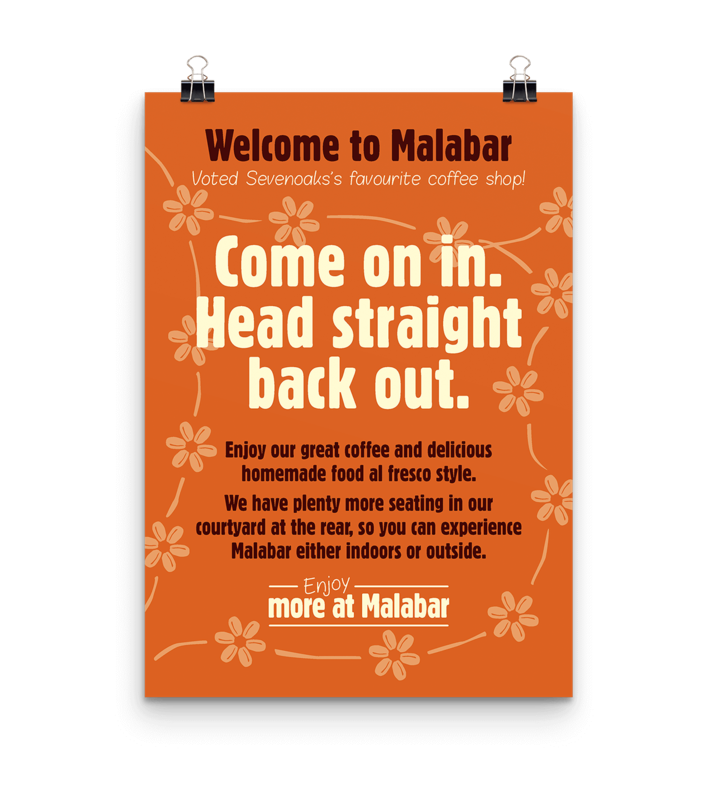 The look and feel of Malabar Coffee House was based around how much care is put into the product choice. 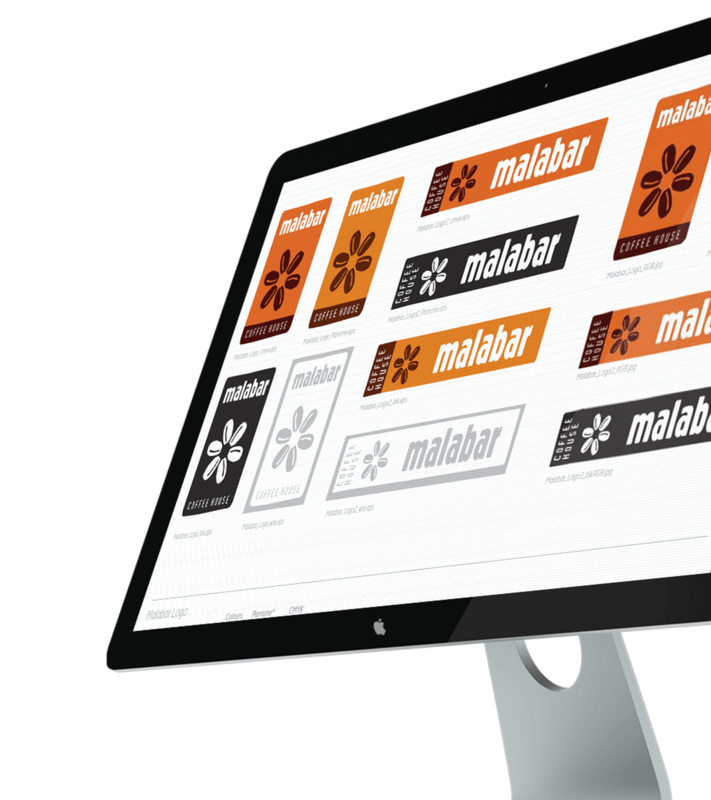 Typefaces were selected to provide a feeling of authenticity, one of genuine care. The lettering and the bean logo has a ‘coffee-sack’ stamp like feel about it suggestive of the owners dealing direct with the growers. The site itself continues this feeling through use of the earthy colour palette and coffee sack background. Flexibility of portrait and landscape versions. Posters with more than a message.